When it comes to Big Tobacco, what we have are lies, lies, and still more lies. The myths about tobacco abound in all shapes and sizes. But being aware of these untruths can make you a better and healthier (non)consumer. More importantly, being knowledgeable about these myths can even save you life. Here are six myths coupled with the cold, hard truth about tobacco use. The words light, low, mild or similar terminology denotes a tobacco product that is less harmful than regular cigarettes. Don’t fall for it. Simply stated, smokers using light cigarettes do not reduce their risk of developing smoke related cancer and other diseases. Of course, the tobacco companies would love for you to believe otherwise. But as of June 22, 2010, federal law prohibits manufacturers from labeling their products using these or similar descriptive terms. You know that hurt the big boys when it passed. Some people turn to smokeless tobacco under the false assumption that if you don’t inhale it, it can’t hurt you. While it might not give you lung cancer, smokeless tobacco has been shown to cause cancer of the mouth, decay in exposed tooth roots, gums to recede from teeth and sores in the mouth that can lead to cancer. This is a classic situation of picking your poison. No matter what you choose—poison is still poison. Similar to alcohol use, there is sometimes a temporary feeling of relaxation. But, when the immediate effects wear off the body can plunge the user into a lower feeling than previously experienced. 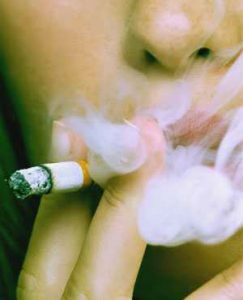 Some studies have shown that smoking can lead to full-blown depression and anxiety. Clear thinking is not a benefit of using tobacco products. Nicotine is addictive so it’s going to eventually lead to increased usage. More cigarettes means even greater addiction, and the cycle ever increases. With each cigarette you smoke, you increase your risk of related-diseases. Second hand smoke is actually just as dangerous to those who inhale as to the primary offender. Many times children are the ones that are most affected by this situation. And the residual effects of smoking are borne by all of society in increased medical costs. And more recently, third-hand smoke has come into question. Apparently, however you are exposed to it, it can be deadly. False. As noted earlier, one of the ingredients in tobacco is nicotine, an addictive drug. Shear will power alone usually cannot quell the urge to light up another cigarette. Often, assistance from a medical professional is required to break the smoking habit. If you are a smoker, ask your doctor what might be the best way for you to put down that pack. Don’t let these myths trick you into smoking apathy. The facts are simple—smoking of any type will inevitably have a negative impact on your health. Anyone who tells you otherwise is lying. What other myths have you heard about smoking? You are promoting quite a number of anti-tobacco myths. I’m not a smoker, never have been, and I don’t like breathing smoke. However, I am not against smoking. I am against being poorly nourished which increases the tendency toward excessive self medication with tobacco products.